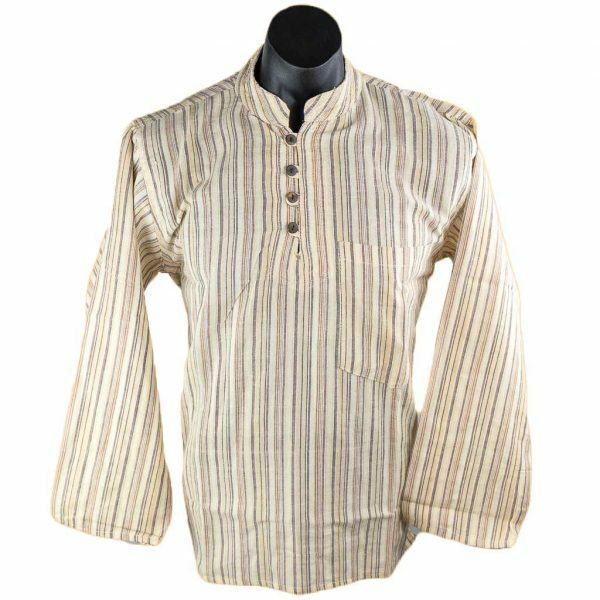 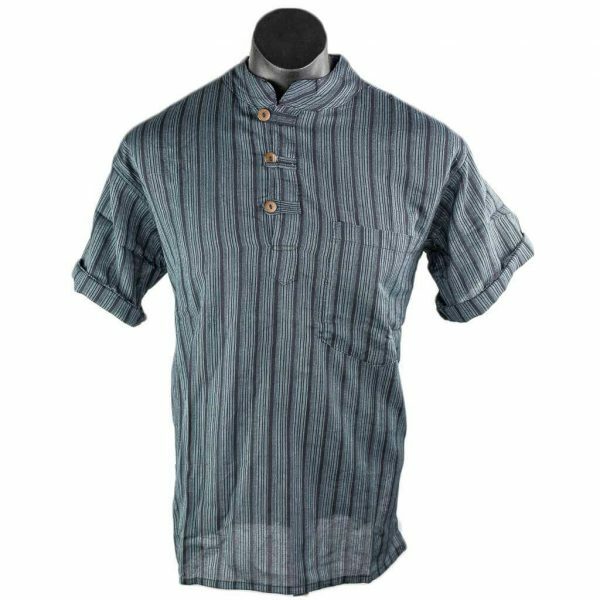 Kurta style shirt, hand woven striped cotton, handmade in Nepal. 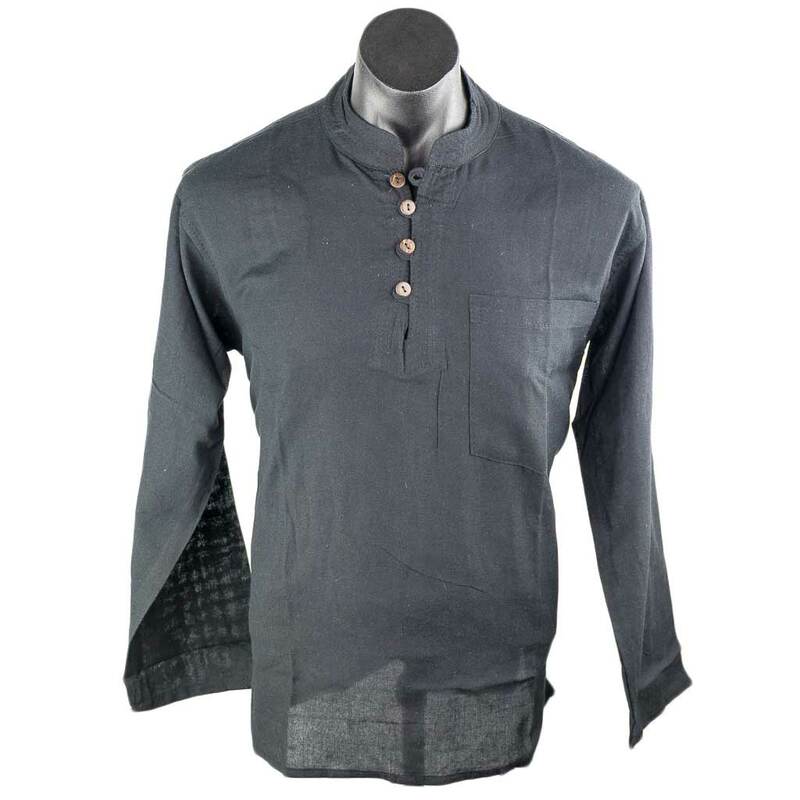 Featuring four wooden buttons on half collar, a chest pocket and full sleeve. 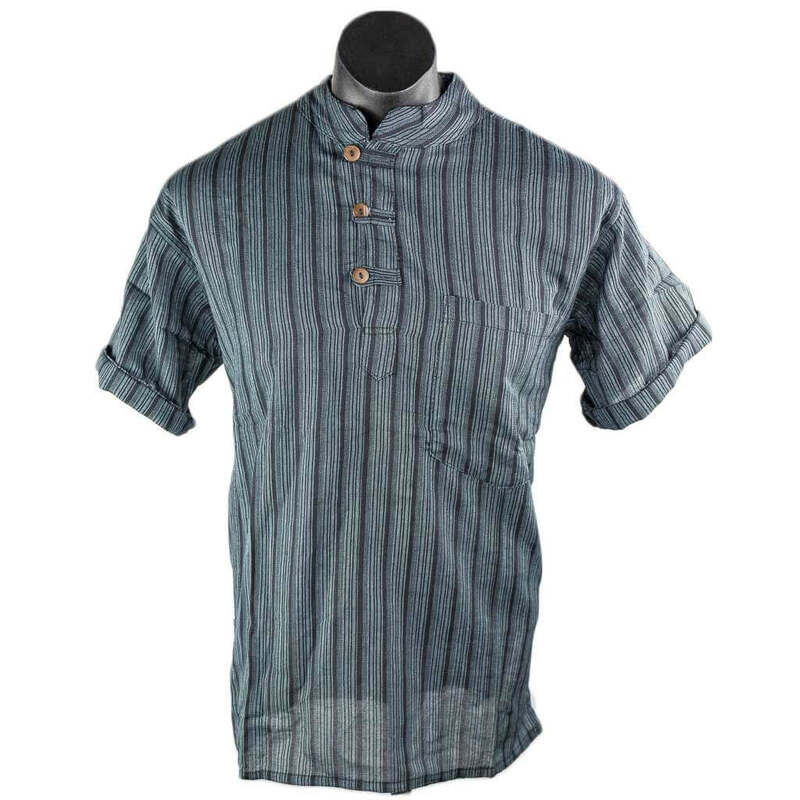 Extremely comfortable, light weight and durable it can worn by both males and females. Kurta style shirt , ethnic printed stripe patched cotton kurta made in Nepal. 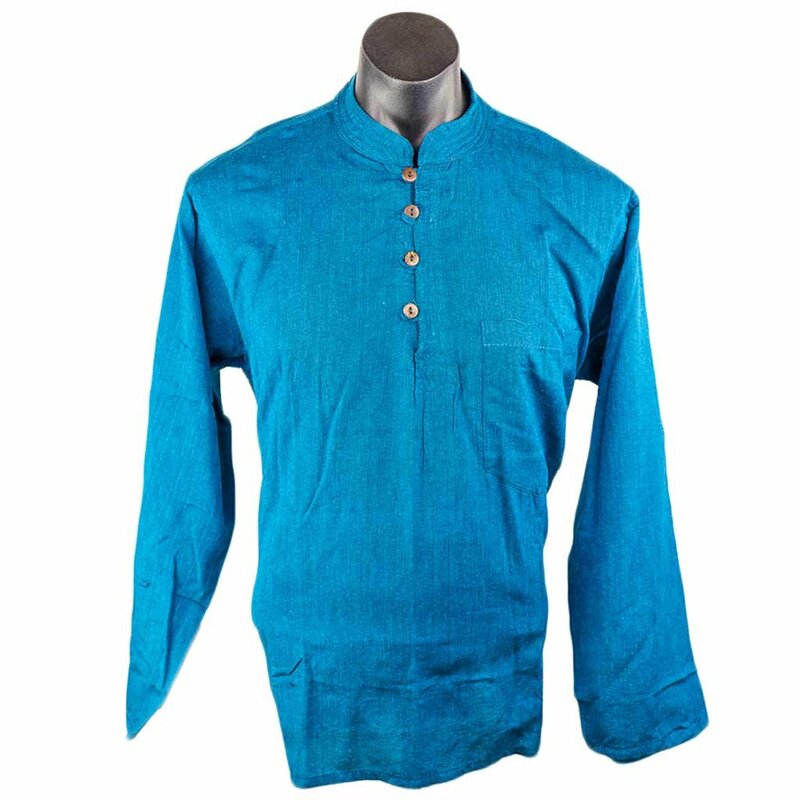 Featuring chest pocket, three wooden buttons on half collar and full sleeve. 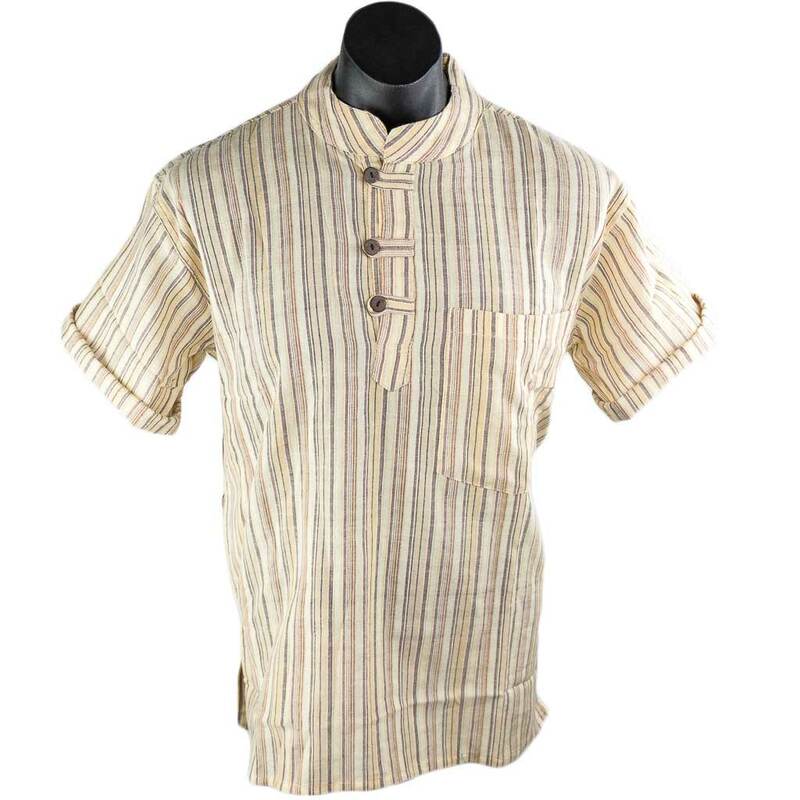 Wonderfully comfortable, it is made from pure cotton material and can match any of your purpose. 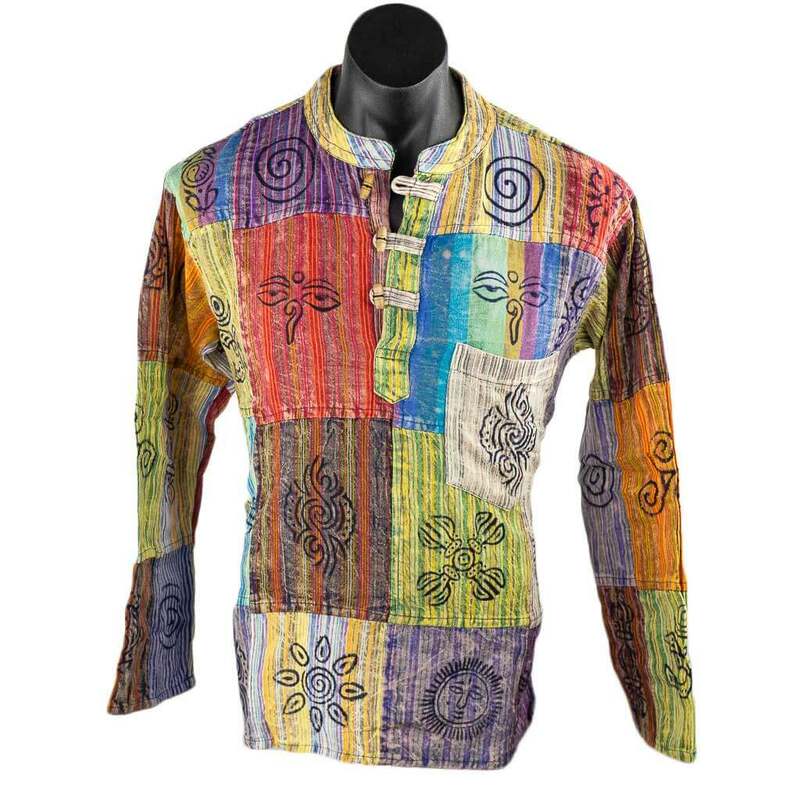 It is unisex as can be worn by both males and females. Being handmade there can be slight changes in patterns and colors.